Where Can I get my Car Detailed? When you think “Where Can I get My Car Detailed”, think Jax Kar Wash & Auto Detailing first! 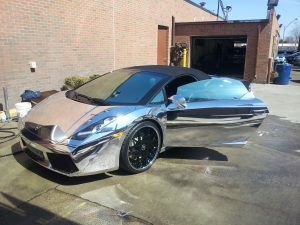 You can get your car professionally detailed at Jax Kar Wash in Birmingham, West Bloomfield, Troy, Rochester Hills, Royal Oak and Southfield locations. No appointment is needed, except at our Rochester Hills or Southfield Road locations (yes, all of our locations!). Please click here for contact information. What is the Difference Between Car Washing and Car Detailing? The terms Car Detailing, Auto Detailing and Auto Reconditioning are used interchangeably and mean the same thing. Car Washing and Car Detailing ARE NOT the same! Auto Detailing involves a thorough reconditioning and cleaning of both the exterior and interior of a vehicle. It is a meticulous step-by-step process to restore your vehicle’s beauty, which in turn protects your investment. Auto Reconditioning services aren’t just for cars, SUVs or trucks! Boats, motorcycles and RVs need Reconditioning too! Jax Kar Wash can handle all these needs. Why Treat A Car to Auto Detailing? Simple; protection from the elements, which leads to higher resale value of your car. A common misconception is that a vehicle’s “clear coat” protects the exterior finish, so that regular maintenance is not required. Clear Coat is actually the last step in the painting process, but is NOT a protector of the paint! Therefore, a wax or polymer sealant should be applied twice a year to the painted surfaces to protect the finish from contaminates and oxidation. Although some dealerships offer an protection package for the vehicle at the time of purchase for a high price, this should not be considered a permanent solution as nothing lasts forever! So remember, when you ask “Where Can I get My Car Detailed”, think Jax Kar Wash & Auto Detailing first! For more places to get your car detailed, click here.